The other day, I was browsing through Netflix to find a movie to watch. I stumbled on a movie I have not heard of before with a large five on the sign. That movie was Ice Age 5. I absolutely loved the Ice Age when I was growing up, especially Ice Age 3. It was quite the surprise for me to discover they made five of them. This may be news to just some of you, but what should not be breaking news is the fact Hollywood is absolutely obsessed with making sequels and milking as much money as possible out of a popular series. This is seen all over, including examples like a fifth Transformers movie coming out. Can you believe that? Five movies about sentient robots hitting each other, while humans run around frantically trying not to get squished. Regardless, I am still going to watch the fifth one. Who does not like watching robots punching each other? Throw in a couple of monsters and you have Pacific Rim, which I hear is also getting a sequel. Some sequels can be good and even better than the original, which truth be told should always be the case. There are a couple of franchises that have accomplished this. In the world of technology, we always want the next iteration of something to be better than the previous. This sounds easy enough; take criticism from the previous product and fix it. 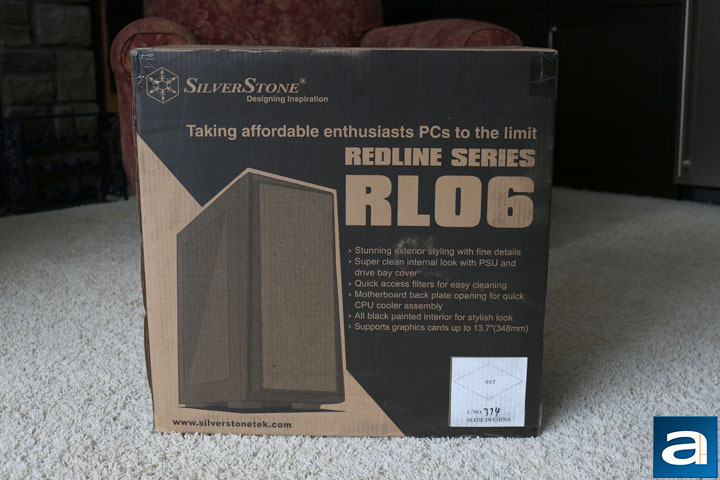 Today, we have the SilverStone Redline RL06 Pro, which is the next iteration of the Redline RL05. 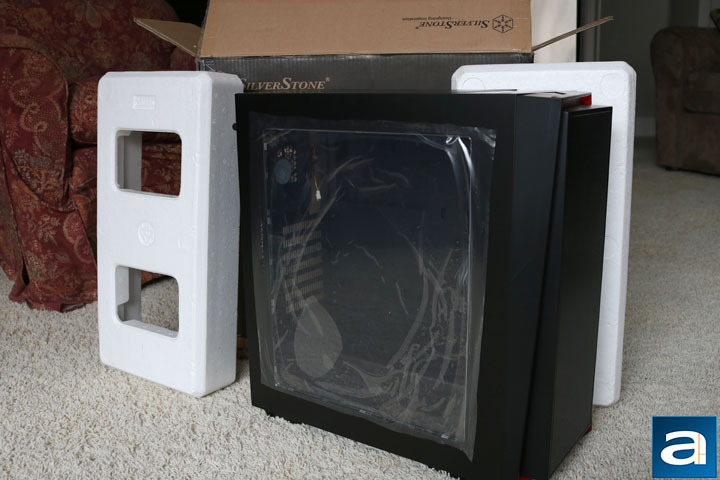 Has SilverStone improved upon some features from the previous version, or have they just taken the opportunity to make another in a series of cases? Read on to find out! As with most cases, the retail box is also the shipping box. It shipped from Chino, California via UPS Standard to the currently warming up Calgary, Alberta. It arrived in exceptional condition; probably the best condition I have received a shipping box in. There were barely any dents and the only noticeable damage was some discoloration of the corrugated cardboard. As for the retail aspect of the box, there is lots of information all around. It is a budget case, so there is no fancy coloring. The front of the box has the main selling features, with a large picture of the product. A SilverStone logo and motto is found in the top left, with the Redline Series RL06 Pro found in large print to the right. Another one of the more central themes of the Redline series is taking affordable enthusiasts PCs to the limit. Affordable was evident in the Redline RL05, and we will have to see if it is also present in the RL06 Pro. The back side has a diagram of the box with the different components labeled. The right has some more information in different languages, while the left holds specifications and a little blurb on the intention of the RL06 Pro. As usual, out of the box, there was nothing very fancy. There were two big Styrofoam blocks holding the case in place. A plastic bag covered the case as well to prevent any surface scratches. On each side of the plastic panel, there is also some plastic stuck to it to prevent any scratches to it, ensuring a crisp look when you first turn the computer on. Inside, tied down to one of the 3.5'' bays, were all the screws and a manual for installation instructions. Overall, the case will be safe during transport.